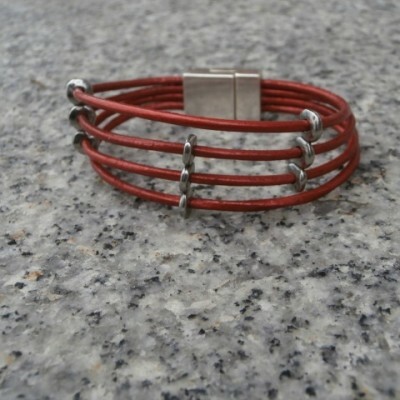 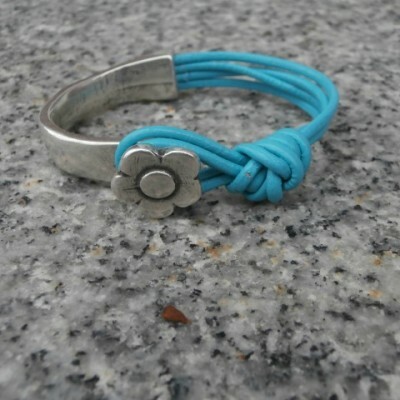 36″ Long leather wrapped bracelet. 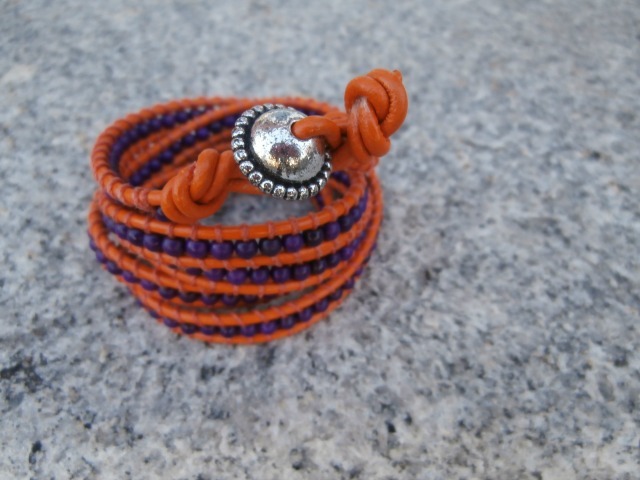 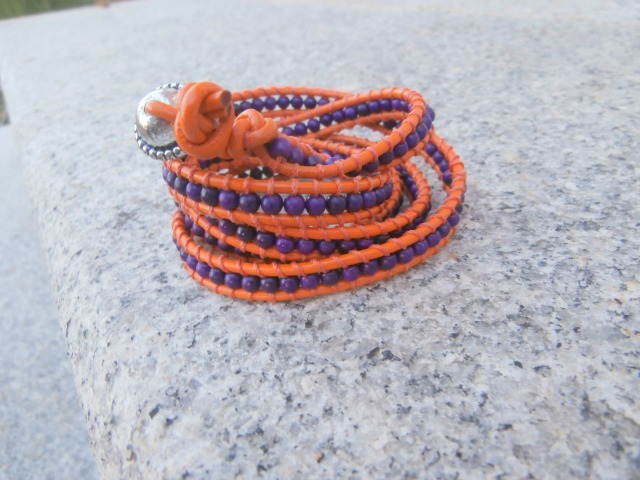 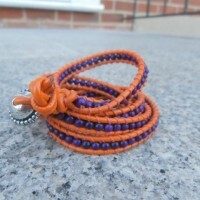 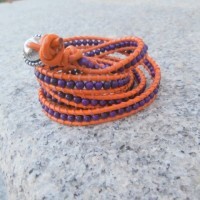 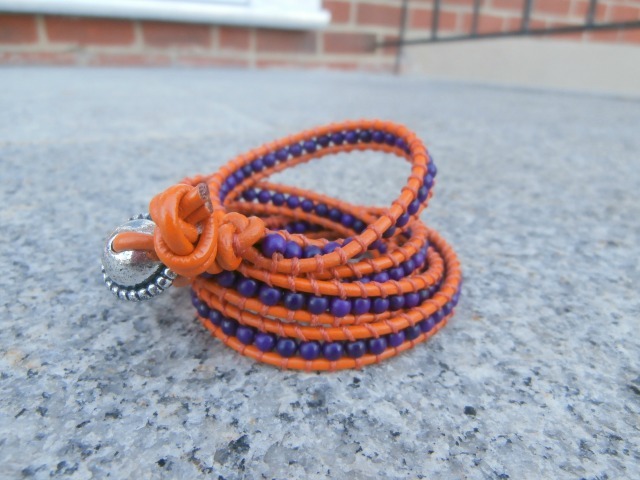 Orange genuine leather with purple chalk turquoise beads. 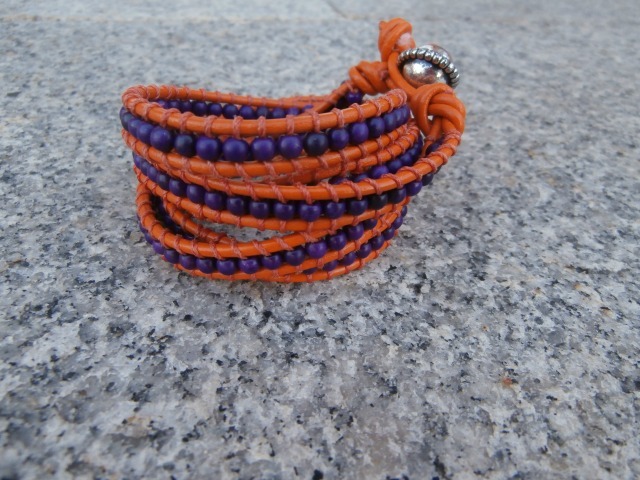 Bracelet wraps five times. 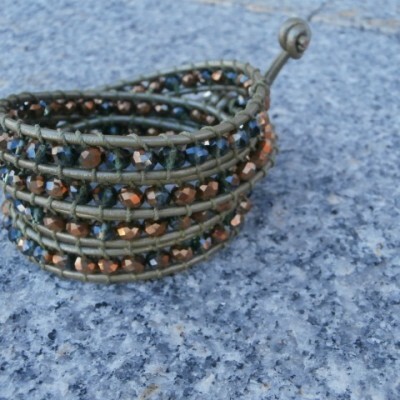 Silver bead as closure. 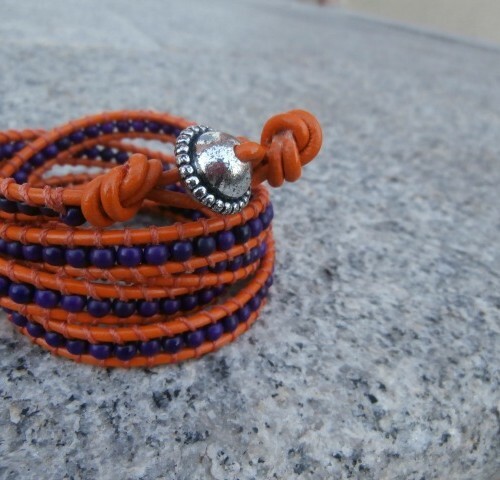 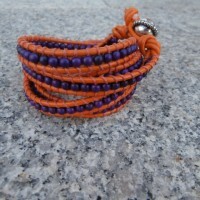 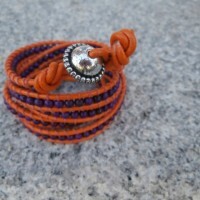 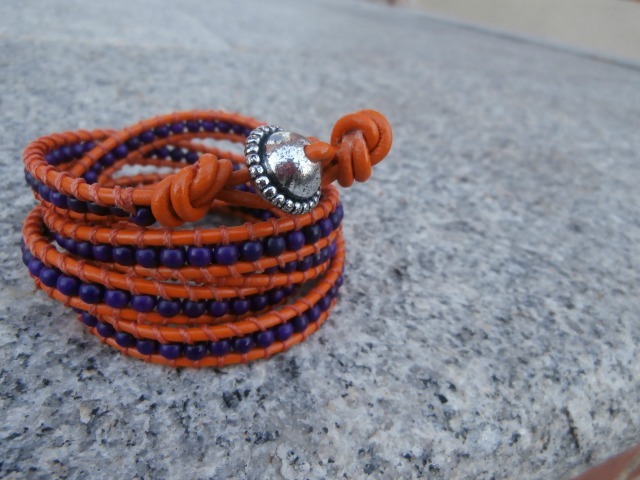 Be the first to review “Orange leather and Purple bead wrapped bracelet” Click here to cancel reply.